This book puts on full display the power of satire. Every laugh, and there are many, is followed by a gnawing sickness in the pit of your stomach as the truth of the matter settles in. D.L. 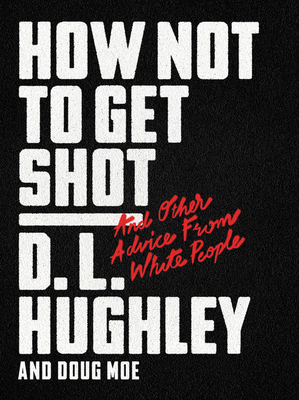 Hughley's stand-up voice perfectly translates to the written word and the anger is palpable in every sentence. This is a great book for our times. It's funny and poignant and paints a crystal clear picture of the failings of the police in African American communities throughout this country. D.L. HUGHLEY is one of “The Original Kings of Comedy.” His comedy specials, the most recent of which is D.L. Hughley: Contrarian, have appeared on HBO, Showtime, and Netflix. His satirical documentary special, DL Hughley: The Endangered List, received the prestigious George Foster Peabody Award in 2012. He also created and starred in the ABC sitcom The Hughleys and has hosted shows on BET, Comedy Central, TBS, and CNN. He currently hosts the nationally syndicated radio program The D.L. Hughley Show. His first book, I Want You to Shut the F#ck Up, was hailed as “the best book since The Hunger Games” by Chris Rock. He lives with his family in Los Angeles, California.